4 Bedroom Detached House For Sale in Hailsham, East Sussex for Guide Price £440,000. 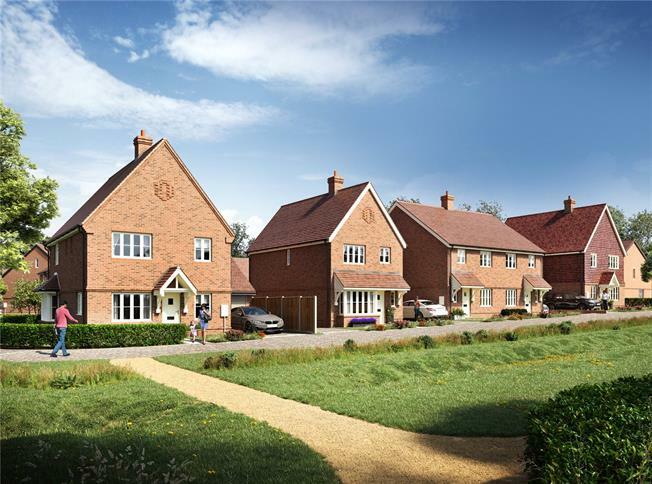 The Chicory is a 4 bedroom detached property, designed to the highest modern standards at Ambersey Green. The rooms are light-filled and of excellent proportions, with direct access to the garden through French doors, maximising your enjoyment of the natural green surroundings. The kitchen is fitted with contemporary units with complementing worktops, with built-in appliances including an oven, hob, fridge/freezer, washing machine and dish washer. Double doors open from the spacious kitchen/dining room in to a living room, making this the perfect spacious for family living and entertaining alike. There is a further family room that could be utilised to best suit the new owner. Upstairs, a central landing leads to a master bedroom with en-suite shower room and built in wardrobe space. There are a further three bedrooms with built in wardrobe space, served by a family bathroom.